Setting up a plasma cutter appropriately is the prerequisite to the right use of the unit; no matter whatever you use it for. In order to be able to use this tool effectively, knowing how to set up a plasma cutter becomes necessary. From your knowledge of setting up a plasma cutter, you will be able to prepare the plasma cutter for any task that lies ahead. You will also be able to adjust the tool at any point, and most importantly you will not have to require the services and cost that comes with having someone do it for you. In this discussion, we have provided a guide to the steps in setting up a plasma cutter. We have simplified these steps making it very easy for both beginners and professionals to be able to understand it. A careful read through an understanding of this discussion is all you need to know how to set up a plasma cutter in a very easy way. How to Set up a Plasma Cutter? Setting up a plasma cutter adequately is necessary for having effective metal cuts. Proper set up also ensure that the plasma cutter doesn’t get damaged while in use. When you fail to set up a plasma cutter correctly, it is likely to melt especially the consumable parts while in use. In order to ensure you understand the plasma cutter setup, we shall be running through some plasma cutting settings briefly. The first most important thing to do when carrying out plasma cutter settings is to choose a location. This location might be where the plasma cutter works, or an entirely different location that has been set aside for the plasma cutter setup. Make sure this location is spacious so you can have all the comfort you need to effectively set up the machine. Also, make sure it is the location where children do not have regular access to. Once a comfortable location has been chosen, the next step to take is to place the plasma cutter and other tools in the chosen location. Make sure you are able to get all the tools that will be needed for the set up ready and in place beforehand. You have to know what plasma cutter you are setting up. For plasma cutter settings for aluminum, the tools needed might be different from that of plasma cutter filter setup. When the tools are ready, you will need to establish a connection for the airline. To do this, you have to make sure you have airline connected and keep it running via an air compressor. Make sure you also have an air regulator installed to control the air that goes in and out after which you can turn on the air compressor. You will also need to gather scrap metal material and set them in place on a non-combustible surface. This metal scrap material is being placed on this surface so as to prevent fire outage. To be sure you have the work area secured, you will need to install a fire extinguisher so as to be able to handle unforeseen circumstances. When the scrap metal piece has been placed, you will need to secure the grounding lead to your metal. To do this, you will have to turn on the plasma cutter and keep the heat level at the highest. In other to keep the plasma cutter working, you will need to continually superheat the particular type of gas (among the different types) until it turns plasma which is a state where atoms are being ionized. At this stage, electric charge from the gas goes to the metal that is to be cut until an arc is formed. It is this arc formed that melts the metal. For this arc to be formed, a thin tipped nozzle needs to be created first. You can make use of the baffle of the plasma cutter to regulate the flow of the plasma per time and dictate the size of the kerf or angle. You will also need the services of the gun trigger by squeezing it for a while. When you are done, you can now gradually pull the gun across the metal surface. As you go on pulling, you will need to slow down the speed so as to avoid any spark from occurring. When successfully completed, allow for the metal to cool off for a while. First, start by turning down the heat setting of the plasma cutter. After which you can now flip both sides of the metal piece to inspect your cut and be sure it is what you desire it to be. Considering the fact that the electric sources required by different plasma cutters differ, you will have to adjust the current based in the plasma cutter type. 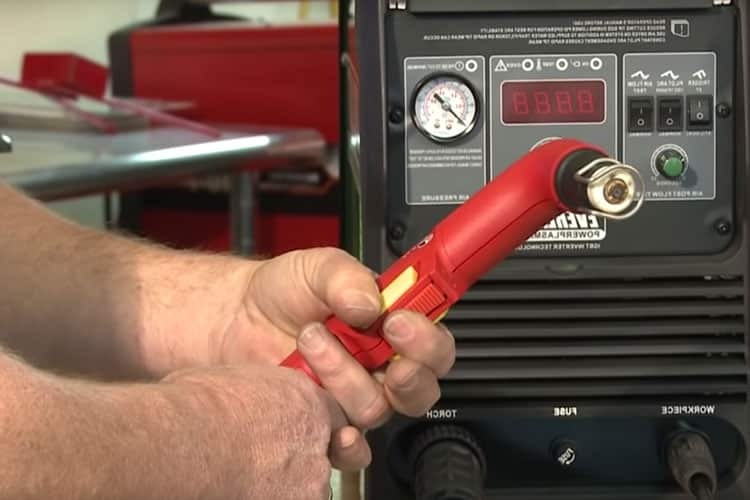 To do this, you will need to check to be sure the voltage you have, is best for the plasma cutter to be set up. You can google to adjust it for use based on the power level that you need for the job that is at hand. To attain accuracy, you can perform a test cut on any scrap material after which you check the cut made for any dross. As you perform this test cut, make sure to continue adjusting the plasma cutter amp settings. At every level, it is necessary to inspect the cut for dross and be sure that there is none on the plasma cut edges. Pay attention to every detail through the steps. When you look at the plasma cutter settings chart, you will discover how all the parts function together. So this means once you miss any step or carry it out wrongly, it is likely to affect other parts as well. Keep your body secured with the use of face masks, protective glasses, and hand gloves while setting up a plasma cutter because you never know what might go wrong from your end. Also, ensure that the location chosen for the setup is freaking from any harmful material. When you get confused at any point in the setup, don’t go any further. It will be best to seek help or a colleague or a professional so as not to damage the plasma cutter. Knowing how to set up a plasma cutter gives you an advantage of saving yourself the cost of having to employ the services of a professional to do it. With the steps provided above, plasma cutter setup feels easy and comfortable to effect. What more can be said other than you paying attention to the details involved in setting up a plasma cutter? As don’t neglect the plasma cutter setup safety requirements because you need to be sure you are safe as much as the plasma cutter is. 2 How to Use a Jointer to Prepare the Stock Properly for a Project? 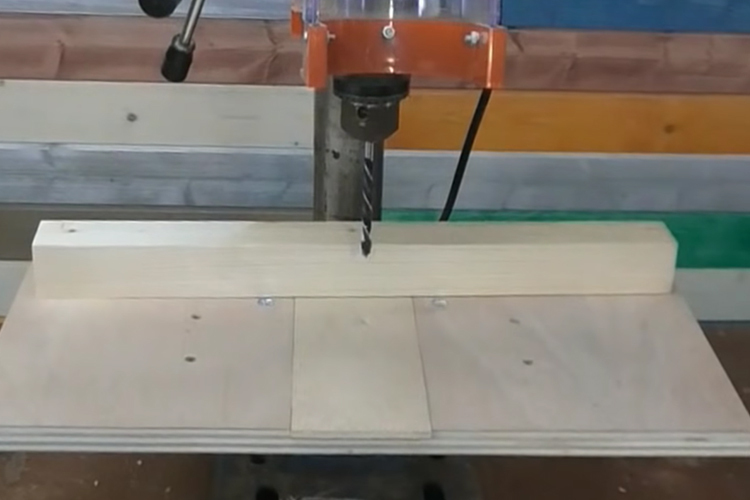 10 How to Cut a Straight Line Appropriately with a Reciprocating Saw?